Aloha from Kauai! Flying over the Pacific Ocean and looking out the window to see the islands yesterday was indescribable. That said, it was also bittersweet because my 5-year old's ears started bothering her and the last ten minutes of the flight were sort of miserable for her. Then baggage claim was miserable; the shuttle to the rental car place was miserable; waiting for the car was miserable, you get the idea. At one point, my sweet, sleepy little girl cried, "I just want things to go back to the way they were!" I'm grateful that today is a new day and she can see just how beautiful the island is, how beautiful this earth is that God for us. We'll be relaxing and resting today, then Saturday one of my dearest friends from high school is tying the knot with the man of her dreams and we'll be there to witness it. It's going to be a very exciting week here in paradise! I wish you a fabulous weekend, and God bless! 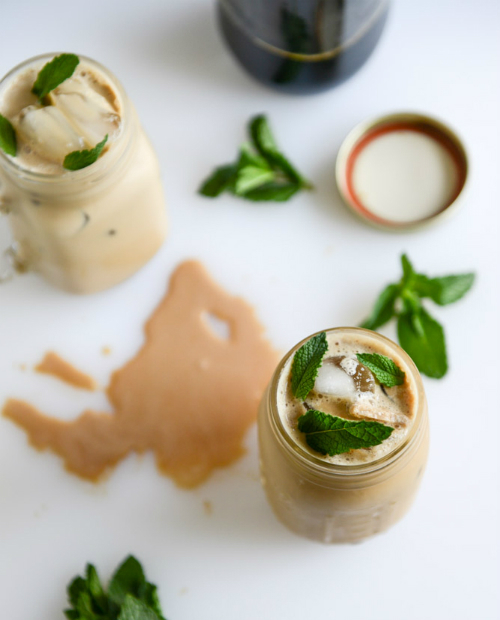 Fresh mint iced coffee that I think would also make awesome popsicles. 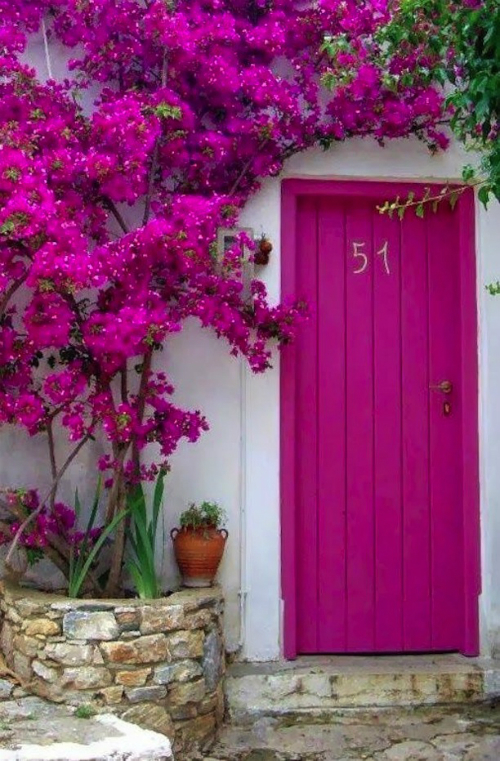 This gorgeous bougainvillea and matching door. 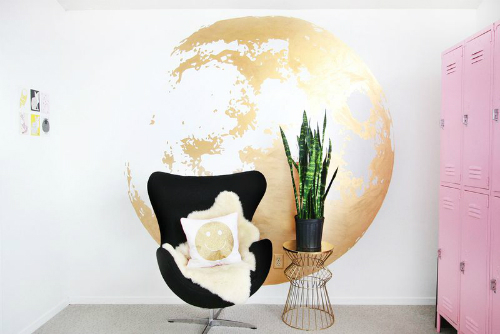 A DIY gold moon wall that's ridiculously cool and pretty. 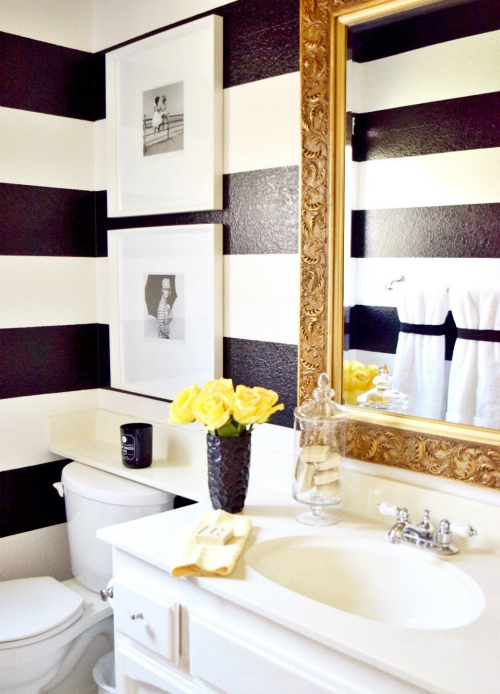 A black and white striped wall that reminds me of the inside of my favorite Kate Spade bag. 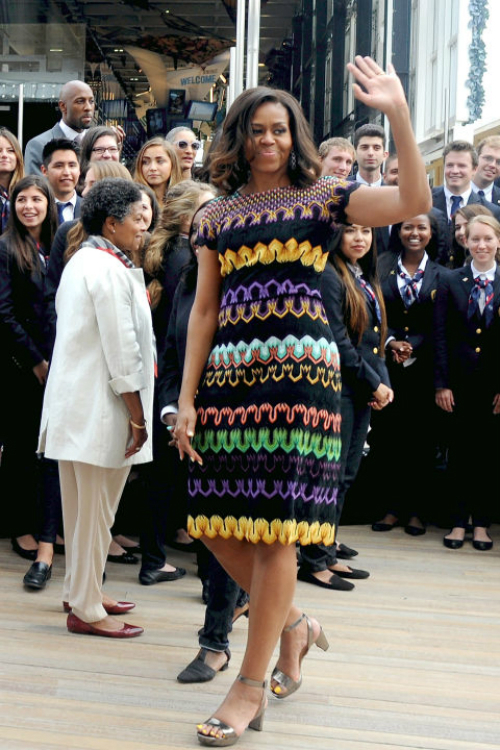 Michelle Obama in this Missoni dress, and all the other dresses she wore on her European tour.